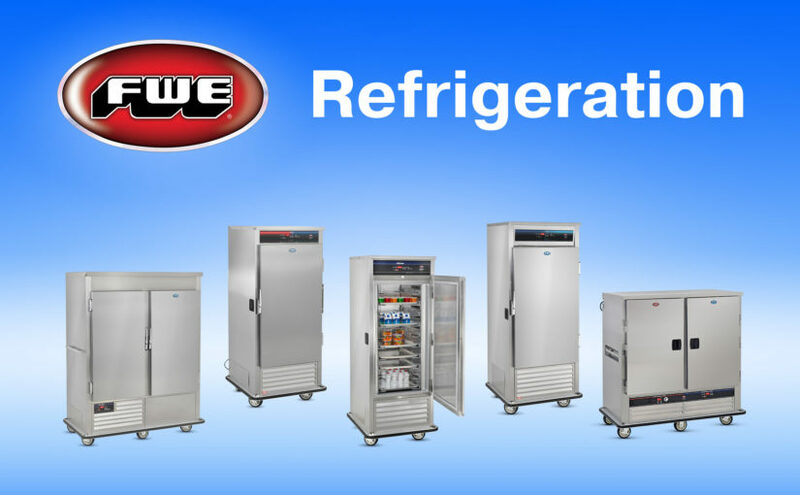 FWE Cools Off Summer With Its Refrigeration line! Keeping your food cool in the summer can be an arduous task, especially if you are busier than ever. You need a product that is versatile like you. That’s where Food Warming Equipment comes in. Don’t let the name fool you. We build some of the world’s best refrigeration equipment. And our wide array of products can suit nearly any need. Let’s start simple with the Universal Refrigerator Series or the URS and the Universal Freezer Series or UFS. Like most of our refrigeration units, the URS and UFS are made for transport applications and constructed of high-quality stainless steel. They both feature a unique tray slide design that holds the various trays and pans from the bottom for extra support. What if you don’t have room for both in your kitchen? We have you covered with the Convertible Refrigerator/Freezer Series or URFS for short. Have the ultimate foodservice flexibility, as your needs for food storage change from cooling to freezing simply adjust the settings as needed on the URFS cabinet. Need something that can both heat and cold? We got that too. This is the Dual Temp; it is a Universal Heated/Refrigeration Series or UHRS. We promise that’s the last acronym. This series can heat or cool your food. With the UHRS, you have the stainless steel body, a bottom mounted compressor that allows for beverage dispensers and top guard rails that can be added. Next up is the Refrigerated Satellite Cabinet; this unit is specifically designed and fabricated for transport applications like hotels, convention centers, hospitals, and more. Let’s get to the most innovative design series from FWE’s refrigeration line, the Air Screen. We are going to paint a picture here. You are working at an amusement park in July. It is the biggest weekend of the year and it just so happens to be the hottest day yet. You have a line of customers that wraps around the concession stand wanting something cold. With most commercial refrigerators the longer you leave the door open to get the product the less cool the unit can keep your drinks. With the Air Screen that is the purpose of the unit. Models like the Air Supremacy can keep the door open through the lunch rush even if that rush lasts three hours. The Air Screen technology is a game changer in terms of commercial refrigeration. Finally, the last product in this line is the newest addition to the family, the Refrigerated Dough Retarder. This unit fills an important place in FWE’s goal to help our customer’s craft the perfect pizza. Made of the reliable construction FWE is known for, the Refrigerated Dough Retarder is both strong and easy to use. Previous Previous post: Congratulations Megan Davis!